No, you haven't gone back in time - tweed is back in fashion! A material which might have seemed a bit dated as been flipped on its head and reworked into modern fashion pieces, making it one of the most desireable material/prints of the season. Probably the most popular way to wear the trend is by wearing a tweed blazer/jacket or a tweed skirt but as the season progresses there are so many other ways you can get involved with tweed fashion! 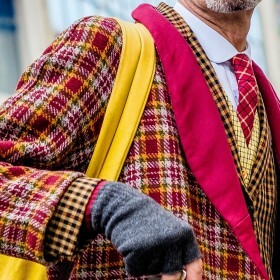 Traditionally, you will find that tweed is a gray/beieg color however the trend has been intwined with such a huge variety of styles, colors and weave effects. It's time to discover what you can find on Fashiola!